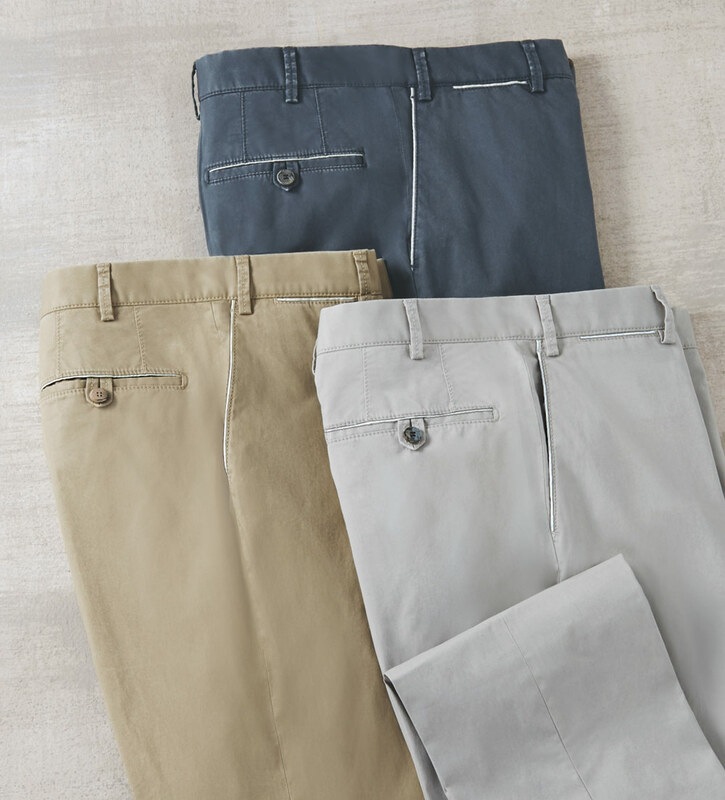 Fine, stretch twill with lightly washed finish. Flat front, contrast pocket trim. 95% cotton/5% Lycra® spandex. Machine wash. Made in European Union. Unfinished hem.